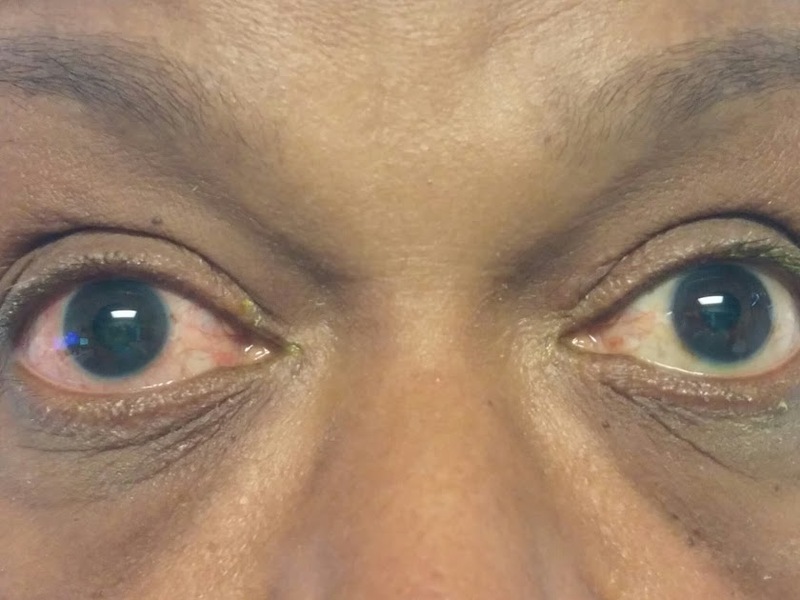 62 year old presented with red right eye and slight visual disturbance. External photos taken at presentation are attached. What is the treatment of choice ? 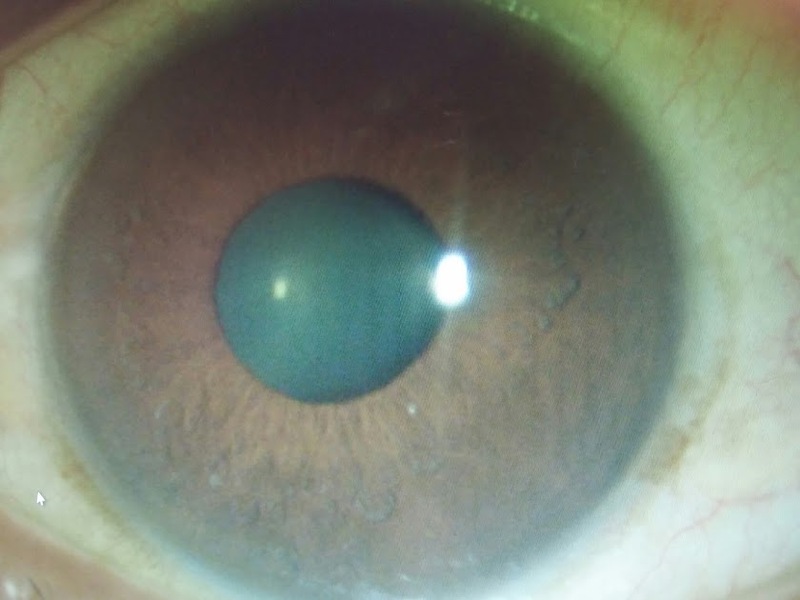 Examination in this patient suggest limbal flush with mild corneal edema with mid dilated pupil in an eye that appears to be shallow. One has to think of acute angle closre attack in this set up. Her IOP was 60 mm Hg OD and 45 OS. Gonioscopy -angle was closed OU. Definitive diagnosis : made by Gonioscopic verification of occludable angles. Most important factors predisposing an eye to angle closure - shallow chambers, thick lens, increased anterior curvature of the lens, short axial length, small corneal diameter with small radius of curvature. What to avoid: Strong miotics (may increase pupillary block by causing anterior lens iris rotation and iris vascular congestion and non selective adrenergic agonists with significant alpha one adrenergic activity (apraclonidine) (can induce pupillary dilation and iris ischemia).